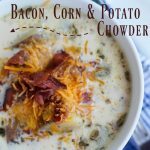 I’d like to thank Workman Publishing for sponsoring this instant pot bacon, corn and potato chowder recipe post and giveaway. BUT, pressure cookers are no longer scary. They have all sorts of safety measures in place so you really can’t do anything wrong. I know this because I read the How to Instant Pot cookbook by Daniel Shumski, and I highly suggest you get it, especially if you’ve been scared like me. There are so many buttons, lights and indicators on an instant pot that it can be a little overwhelming at first. This cookbook demystifies it all logically, and you’ll understand why beeps, clicks and whooshes of steam are coming from your appliance. But if you’re an instant pot pro and don’t need usage guidance, you’ll love the cookbook for the recipe ideas. They’re designed to take advantage of the instant pot’s multiple functions, so you’re bound to learn something new. Instant Pot Bacon, Corn and Potato Chowder. 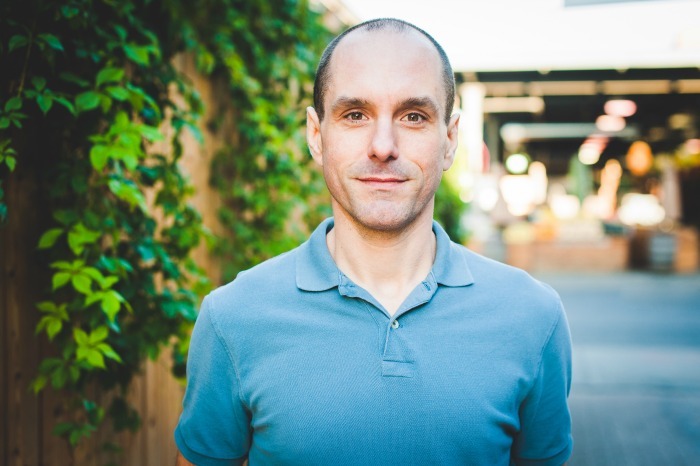 Excerpted (and slightly altered) from How to Instant Pot by Daniel Shumski (Workman Publishing). Copyright © 2017. Photographs by Ken Carlson. Line the bottom of inner pot with bacon. Press Saute and use Saute or Adjust button to select middle temperature (Normal). Cook with lid off and use silicone spatula or wooden spoon to move bacon around occasionally so that it cooks evenly. Cook until crisp, about 6 minutes. Remove bacon, leaving behind fat. Allow bacon to drain on paper-towel lined plate until step 7. With the Saute function and middle temperature (Normal) still selected, add onion and celery to bacon fat. Cook with lid off, stirring occasionally, until softened, about 5 minutes. Add potatoes and bay leaves. Wait a moment and then pour in the broth. Close and lock the lid.Set the valve to Sealing. Press Cancel, then press Manual or Pressure Cook and use the Pressure or Pressure Level button to select High Pressure. Use the - or + button to set the time to 1 minute. Remove the lid. Discard bay leaves. Add corn, thyme, salt, pepper, 1 1/4 cups milk and hot sauce. Press Cancel, then press Saute and use Saute or Adjust button to select the lowest temperature (Less). Cook with lid off, stirring occasionally until chowder is hot, about 5 minutes. Chop the bacon. Add half to the chowder, stirring to distribute. Reserve the rest to use as a garnish. Combine reserved 1/4 cup milk and corn starch in small bowl. Mix well. Mix into heated soup to thicken. Serve the chowder hot, garnished with reserved bacon. I altered the recipe slightly to make the broth thicker, to my personal preference. My adjustments are included in this printable recipe. Instant Pot Bacon, Corn and Potato Chowder will keep in an airtight container in the fridge, for up to 3 days. To reheat, place chowder in a pot and warm on stove over medium heat, stirring occasionally for about 5 minutes. 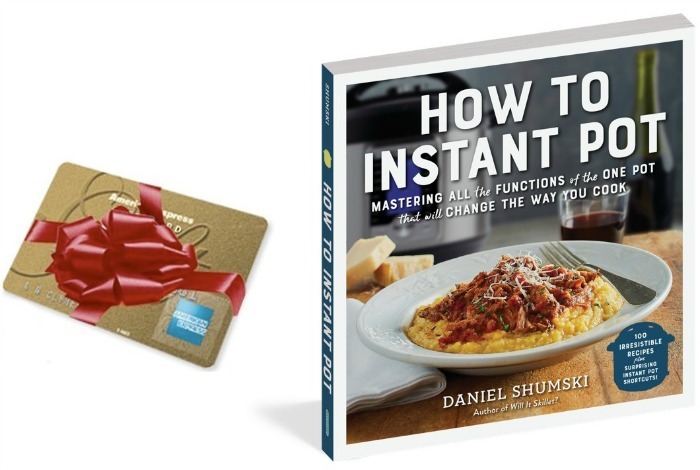 One winner will receive a copy of How to Instant Pot and a $50 AmEx gift card for all your fresh ingredients. I keep hearing great things about Instant Pots! I’d love to try this recipe. Looks delicious! I have always wanted to try to make chili. That is something that you can truly make your own. I haven’t used an instant pot yet. In fact I just ordered one and it should be delivered tomorrow. I would like to make a nice pot roast first. I really like making Swedish meatballs in my instant pot. I would make pot roast first. I think we would try a family favorite for the winter months: Guinness Beef Stew ! I would make home made beef stew! I would love an Insta Pot! I keep meaning to pick up an Instant Pot. I haven’t tried any yet, but would love to try a potato soup. My favorite one pot is chili or a good stew. These are both so warming, especially on a cold winter day. I like trying Beef and Broccoli. I haven’t perfected it yet, but it’s close and beats fast food. I would love to try and make brisket with potatoes and carrots. My favorite thing to make in the instant pot is a hearty beef stew. It is perfect on a cold night after working all day. I like to use Idaho russet potato instant mix and add in butter and milk. I make a yummy ham and corn chowder that my family loves, but your chowder looks absolutely delicious! I’d like to try making your version of chowder. I know my family will love it, as will I.
I would love to make roast beef with vegetables and gravy. I would love to try making chili in the instapot. We make that a lot and it takes a lot of time, would love to speed it up. I’ve never used an Instant Pot before, so I’m open to trying pretty much anything! I would like to make chicken, bacon, ranch spaghetti in the instant pot. Pepperoni Pizza Casserole is my crockpot recipe of choice! I would love to make chili or soup in an insta pot. I don’t have one, but it is on my Christmas list. It seems to be all the rage right now! My favorit3e insta pot recipe is for a spicy beef chili! I really want to make this chowder. I make a lobster chowder and I might have to adapt it to include some of this recipe. Or maybe I will just make this and add the lobster to it. My favorite recipe would be chili. I would like to learn how to make desserts. I have never used a pressure cooker and even though I know they are safe these days I am still a little intimidated by them. I think the Instant Pot may be the best choice to be my first try with one and I would probably start with something fairly easy like chili with red beans. I make a nice rump roast in the instant pot. I’d make chili first, it’s a winter fav. I would like to make chile verde in the pot. I’ve had my instant pot for 6 months, but I’m ashamed to say I’ve only used it twice. I’m just more comfortable with my crockpot, though I love the concept of the instant pot. I made a chicken dish in it, but it seemed equivalent work to crock pot or even making normally. I’d love to find some recipes that really show off the instant pot and really make a difference. My daughter makes an amazing white chicken chili. I would like to try making my favorite Jambalaya. It would be so much quicker than it usually takes. I would love to make a curry or a stew on an Instant Pot! Sounds delicious. I was confused I was thinking an instant pot was like a pressure cooker. Great article and I enjoy a good potato soup and would love to give this a try. I would love to try to make chicken pot pie in an instant pot! I want to make the potato soup. I could eat it every day. Never used ne before but perhaps a general tso’s chicken recipe with rice. I’m looking forward to making some IP chili! Oh my goodness, that chowder looks so good! Totally pinning for later! My favorite, here recently, is definitely chicken and dumplings. They are one of my favorite comfort foods and I will always love them. This pot makes it so easy! I would make a brisket with potatoes and carrots. I would love to try an oreo cake dessert recipe. i love lentil soup in the instant pot. i can’t wait to try all these new recipes. I love to make ribs and pot roast in my instantpot. I love making Instant Pot Beef Stew. I would make a roast with vegetables or a thick stew. I’d like to make a lasagna. I would love to try makin a beef stroganoff! Yummy! I like to make pork loin in our Instant Pot. However, I would love a great brisket recipe. I’ve always been interested in trying an instant pot bread pudding recipe. I am a soup lover so I would be making soups of all kinds and all the time. Chicken wild rice is on my menu to day so I would start with that. I would love to try making a roast with veggies in the pot. The potato/corn chowder looks interesting. Maybe less bacon. I’ve heard boiled eggs & chili are the easiest & best. Can’t wait to try!!! I actually make this really good slow cooker nufentchel cheese dip. We tried Swedish meatballs in the crock last week… it was amazing! The kids loved it and my husband said it was a new favorite; and I didn’t have to do a lot of prep work. Bacon, Corn and Potato Chowder looks delicious. That would be the first thing that I would want to try. I would like to make a pot roast in this. I have a stove top pressure cooker and after the spigot flew off I have been too scared to use it again. I like to make a simple beef stew recipe in my insta pot. I’d like to make red beans and rice in an instant pot. And desserts!! I have never used an Instant Pot before but would love to try the Instant Pot Bacon, Corn and Potato Chowder. I don’t have one but I bet chicken gumbo would be good. I would like to try and make spaghetti and meatballs in the pot. It’s my families favorite. We have it often for dinner. I make chicken and dumplings in the insta pot. It’s the worlds best! I’ve never used an instant pot! Would like to try it for a roast or soup. I’d like to try Baked Potato Soup. I would like to try pot roast and ham. I would like to try to make beef stew in an Instant Pot, with potatoes, carrots, and onions. I don’t know if many instapot recipes but I would love to try making pot roast. I have read amazing reviews on this little gadget! First up would be some comfort food for the family. Beef Stew! I would like to try and make beef stew. I don’t have an instapot but my friends can’t say enough about how easy and magical it is to use. I would love to try a nice warm soup for the winter months. I don’t have an insta pot but this chowder looks amazing! I LOVE chowder! I would attempt to make lasagna. My current favorite Instant pot recipe is white Chicken Chili. It’s super easy and so delicious! I would really like to try to make yogurt but I haven’t yet worked up the courage/time! Someday I will try it! I made a great vegan risotto with mushrooms and peas. We like chili made with sausage in the instant pot, with cornmeal dumplings on top. My favorite recipe to make is beef stew. We love it in my house. I would like to try and make spaghetti and meatballs. Lasagna might work also. I’d like to try making a white bean and turkey chili in the Instant Pot. We don’t have an instant pot, but I would really like one. I would like to try making soups. Possibly Cheeseburger soup. I’d like to try making Broccoli and Cheese Soup or Chicken and Dumplings. Thanks. I would like to try to make chili in this. Thanks for the chance to win! I don’t have one, but I think I’d like to make a Chili or roast in one. I would love to try making a chili! One or our families favorites in the winter months! I don’t have an Instant Pot yet but I would try the Mississippi Pot Roast first. I don’t have an Insta pot yet I’m hoping to get one for Christmas. I would make stew first with my Insta pot. I’ve never tried one of these but I can think of a lot of my favorite dishes I’d like to try in one! I’ve never used a Instant Pot before but I’d love to try making my own yogurt using it. I haven’t owned one yet, but when i finally do get one I would love to make BBQ spareribs. I’d like to try to make truffled mac and cheese. It would be delicious, I believe. 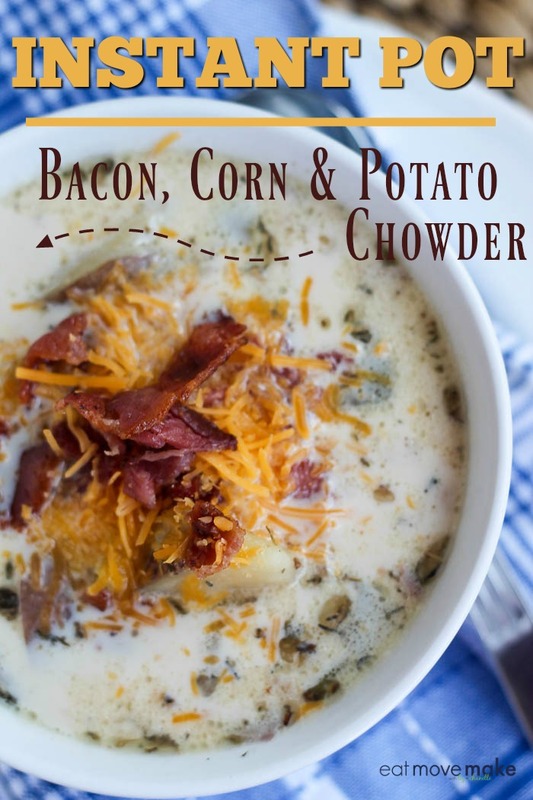 I will try making this Bacon Corn Potato Chowder! (*pinned) I make beans often—any kind of beans, seasonings to taste for whatever meal or soup, homemade bone broth–which I also make in the instant pot. I would like to make Split Pea Soup. I’ve never made an instant pot recipe before but would love to try making Chili. We just made a chicken corn chowder in our instant pot.. so good! I would make chili . How can you go wrong. I’ve never used an instant pot, but I’d like to try a roast beef with carrots and potatoes. I would like to try my Mom’s chili recipe. I would love to try dessert in the Instant Pot, maybe a cheesecake! My husband likes when I make pork adobo, Meat, soy sauce, vinegars and herbs and it comes out pretty well. One of my favorite instant pot recipes is one my Grandma makes. 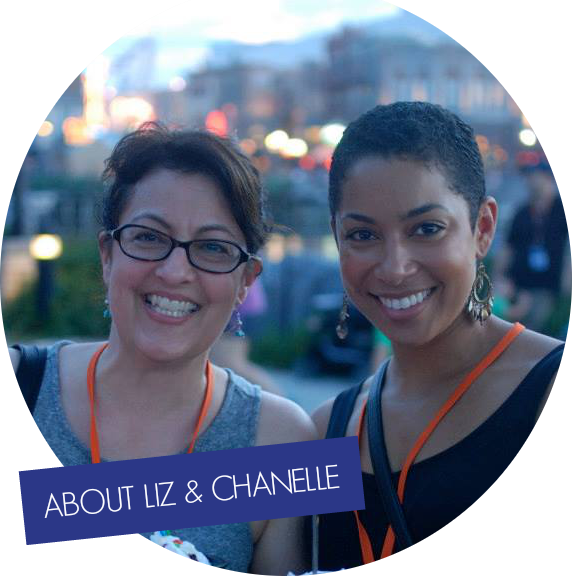 She makes savory Buttery ranch pork chops. I love chowder. I would like to try my sweet and sour chicken recipe and see how it comes out. That chowder looks good! I do chicken, green chiles and towards the end cream cheese…use that then to make enchiladas. I’d like to try making beef stew. I really love eggs and I would make everything possible for my family. Thank you so much! I would love to try making chicken chili in an Instant Pot. I’ve heard good things about them. 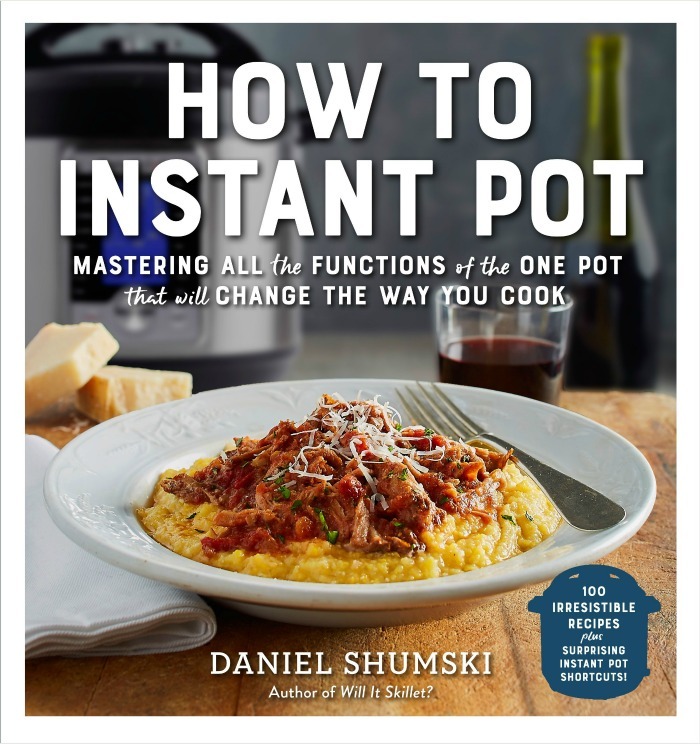 I have never heard of instant pot, but now i’m excited to try it. An instant pot dish I would like to make is Maple Smoked Brisket. My favorite crockpot meal is roast with potatoes, carrots and onions. We usually make chilli with the Insta pot! Would be interesting to try different recipes! Since I get a little afraid to cook any kind of seafood, I would love to try the Lemon-Thyme Steamed Shrimp Instant Pot recipe. I have never used an Instant Pot, but I would like to make a beef stew in one. I have never tried an Insta Pot but I would love to! I think I would try to cook some Jambalaya! Meatballs and chili would be nice to try! I would love to make green chili pork stew in the Instant Pot. I would like to try making hard boiled eggs in the Instant Pot. I want to try some beef stew or other soup in the instapot. I like to put a pot roast in my instant pot. I would really like to try to make a vegetarian cheddar broccoli soup. I want to try making a Yogurt in the Instant Pot. My favorite Insta Pot Recipe is the Stew, super hearty quick easy meal great for the cold winter days and nights! My favorite Instant Pot recipe so far is for Rigatoni and meatballs. I would like to try a cheesecake recipe. I have a friend who uses her machine for so many dishes! I would love to try the one-hour chili. Any thing i have a instra pot but i have not used it yet. My favorite insta pot recipe is creaole red beans and rice with ham. Just got an Instant Pot and haven’t tried it yet. I’d love to try the Korean-Style Short Ribs recipe from this book. pot roast sounds like it would be a good thing to try in the pot. i could make so many good recipes with this! I would love to try making hamburger soup on one. Thank you! I love making a slow-braised oxtail soup with lots of tomato, celery, onions, turnips and carrots. I have made a really good chicken chili verde dish in the instapot! I would also like to try making more stews. It’s so nice to have stew and soup over the cold winter months. I love making a chili, it’s great for dipping or for the guys chili dogs! I love soups and stews so I would love to make chili, potato soup,, beef stew and more. I’d like to try the recipe for Lemon Thyme Steamed Shrimp. I would love to try making pineapple turkey chili or rice pudding! I would love to create some Kansas City style beef ribs. I would love to try to make some chicken and dumplings in it! I would love to make some chili in an instant pot. I would like to make white chili in an instapot – oh yum! I would love to try and make chicken wild rice soup in an instant pot! I would also love to try my hand at mac and cheese. I would like to try to make rice pudding in an instant pot. I would make some sort of chicken recipe first. Maybe try a chicken pot pie. I would like to try out my orange chicken in one of these! I’d love to make chili and some different types of soup. I have never cooked in an instant pot, but I think I would like to start out with a chili recipe. It sounds wonderful on a chilly, fall day. I would make turkey and veggies and potato soup in my pot. I want to make a fast Beef Stew. I Beef Stew takes hours to make. I would like to try to make Maple-Mustard Pork Shoulder. Making beef and broccoli tomorrow night. Start to finish it will take 20 minutes tops. Instant Pot is awesome. I like making chili because it is an easy meal to make. I love instant pot chicken tikka masala . My favorite recipe for the Instant Pot is a Zuppa Toscana soup. I would make chicken noodle soup in the pot . I love cooking whole chickens in my crock pot! I would like to try to make cheesy bacon potato soup. I would like to try making a pot roast. I would make maybe rice and beans in the pot or attempt a cheesecake.